A new support group has been set up for Sheffield families affected by knife crime. Sheffield firm Stay Safe Security has launched the group as part of its ‘Keep Sheffield Stainless’ knife crime campaign. The security firm launched its campaign in the wake of a series of stabbings in the city earlier this year, including a number of which proved fatal. The firm said its campaign is ‘to help reduce knife crime’ and ‘support communities with what they are faced with during these violent times’. It offers a free knife collection and disposal service in and around Sheffield, with the firm claiming that reducing the number of kitchen knives in homes will make it easier for people to keep track of where their blades are. The company also offers a free knife crime workshop, which aims to give an understanding of knife crime along with sentencing and statistics. The workshops also offer advice on how to treat a knife wound and how to manage conflict before incidents escalate out of control. The new support group is aimed at creating ‘a safe and friendly environment to share experiences, feelings, coping strategies and to reduce isolation’. Stay Safe Security said: “As knife crime and violence increases in our city, so does the devastating effects on the community, families, friends and victims. “Who supports the community to bring it back together? Who advises the families and friends of lost ones how to cope? Who provides a place for victims to go where they feel safe? “We are offering a free support group for people that have been affected by knife crime. Meetings are to be held every month. There have been eight fatal stabbings in Sheffield so far this year. - Jarvin Blake, aged 22, was stabbed at the junction of Catherine Street and Brackley Street, Burngreave, at 3.20pm on Thursday, March 8. He was stabbed when a group of men got out of a car and chased him and a friend, who was also injured but survived. - Ryan Jowle, 19, was knifed in his chest in Tannery Close Woodhouse, on Wednesday, May 23. - Samuel Baker, 15, was fatally stabbed in Lowedges Road, Lowedges, the following day – on May 24. A 15-year-old boy, who cannot be named for legal reasons, has been jailed over the attack. 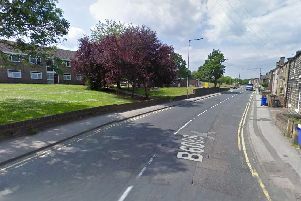 - The following month, on Tuesday, June 26, Glenn Boardman, 59, was stabbed to death in a house in Steven Close, Chapeltown. - Kavan Brissett, 21, was knifed in his chest in an alleyway off Langsett Walk, near Upperthorpe, on Tuesday, August 14 and died in hospital four days later when his life support machine was switched off. - Alan Grayson, 85, was stabbed during an incident at his home in Orgreave Lane, Handsworth, on Thursday, September 13. - Fahim Hersi, 22, from Broomhall, died after he was stabbed during a fight outside the cinema at Valley Centertainment on Friday, September 21. - Gavin Singleton, 31, was stabbed in an attack in Walkley Lane, Hillsborough, on Sunday, September 23 and lost his fight for life on Saturday, October 6.